Unless you’ve been living under a rock, you’ve most likely heard of Chip and Joanna Gaines of Fixer Upper. Not only is their personality down to earth, so is their style! Getting their look is achievable and you don’t have to break the bank to do it. 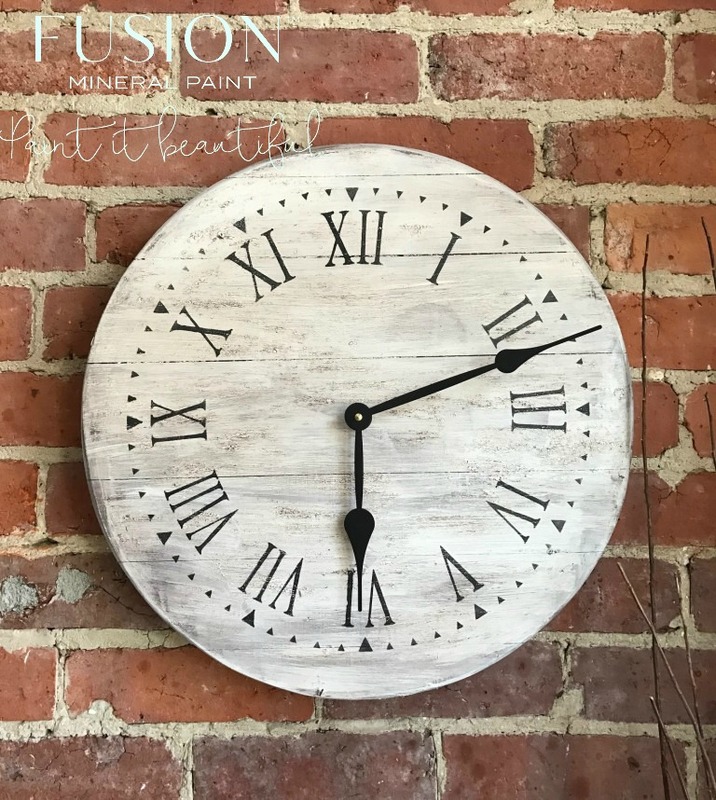 A simple way to get the farmhouse style look is by adding an oversized farmhouse style clock to your decor. 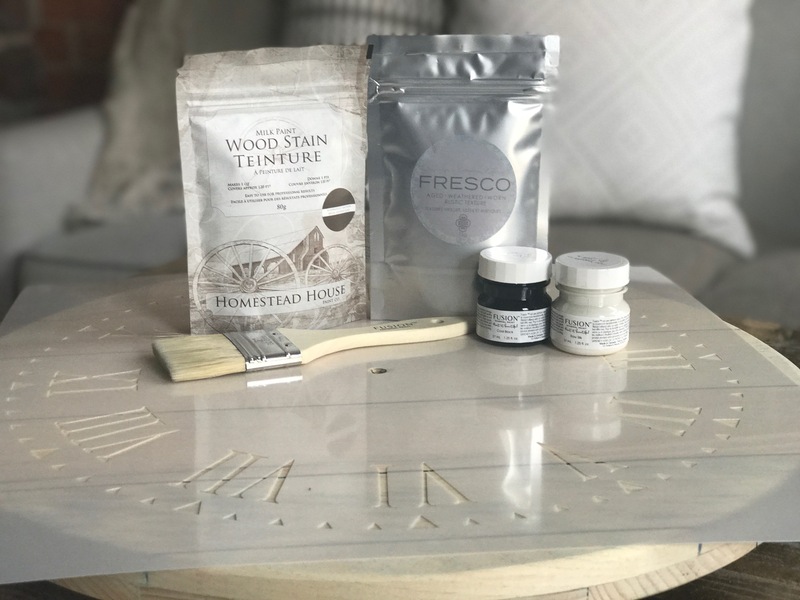 I’m going to show you how easy it is to get an authentic look and create your very own DIY Farmhouse Clock without breaking the bank! Mix up the stain by adding 1 part powder and 3 parts water and stir. Apply mixed stain to raw wood and let dry for 15 minutes. 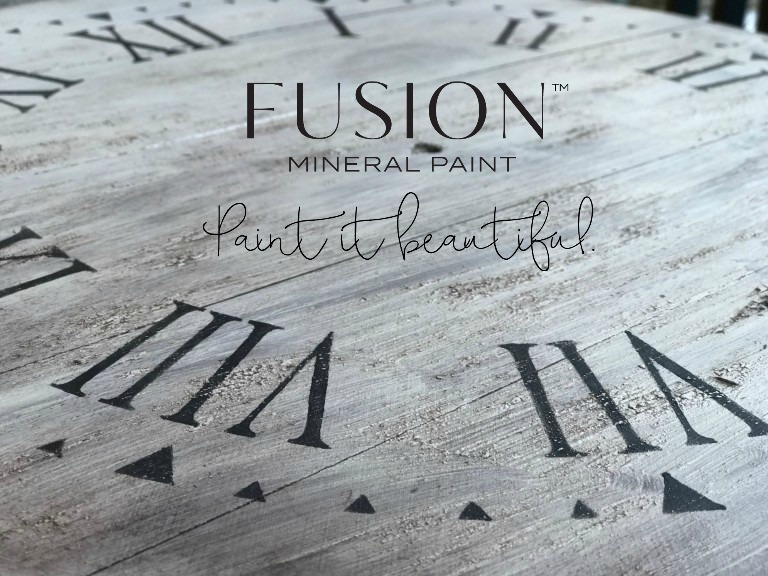 This is a water based stain, so Fusion™ Mineral Paint goes right over top of it no problem! Do not use an oil-based stain for this step. 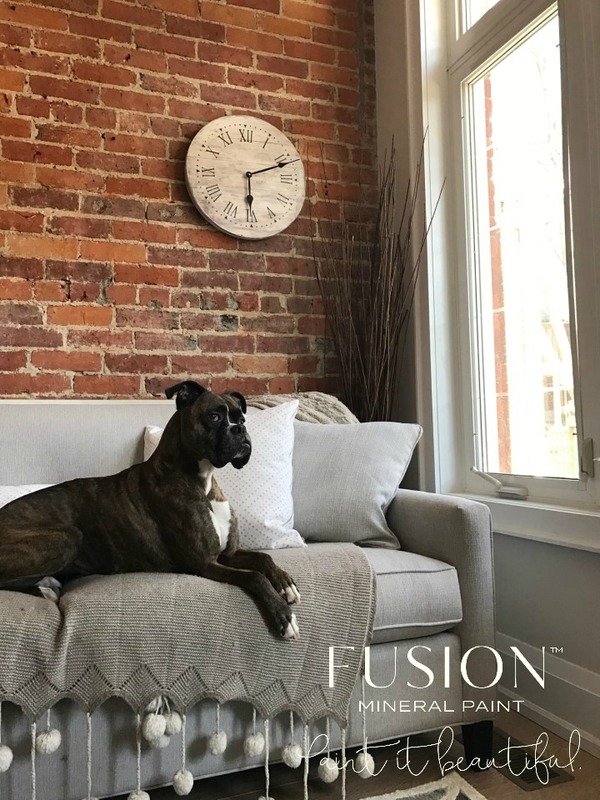 Mix Raw Silk Fusion™ Mineral Paint with Fresco. 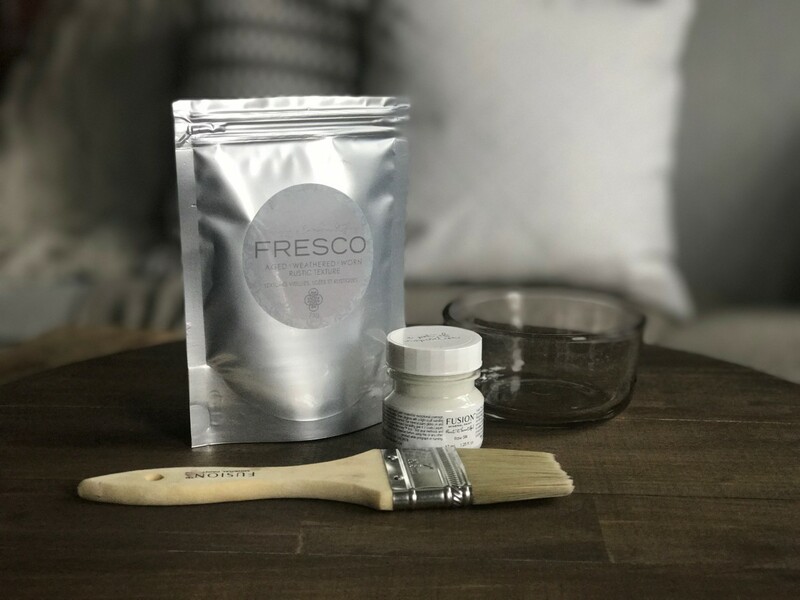 What is Fresco you ask? 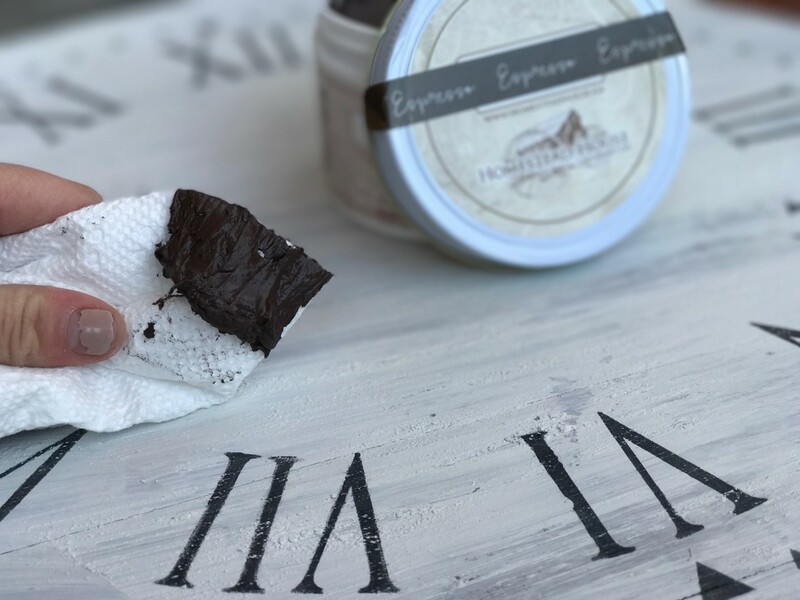 It’s an amazing, natural powder additive you can add to your paint to create instant age, texture and even cracking effects! 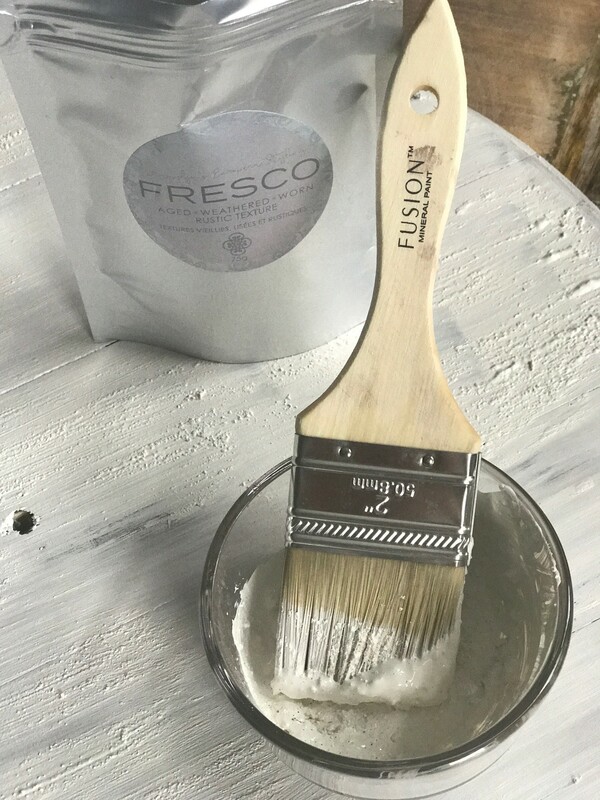 Read more about how to use Fresco by Orphans with Make Up here. 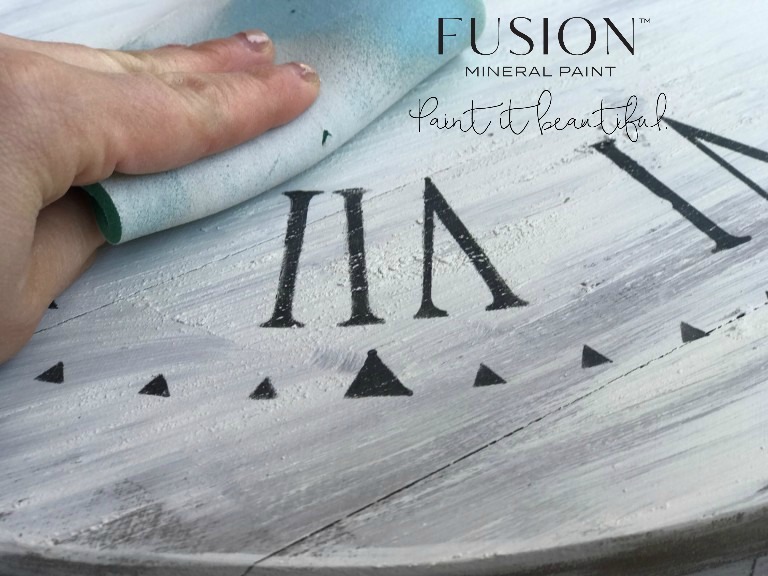 Simply mix 2 Parts Raw Silk Fusion™ Mineral Paint to 1 Part Fresco for super chunky texture and age! 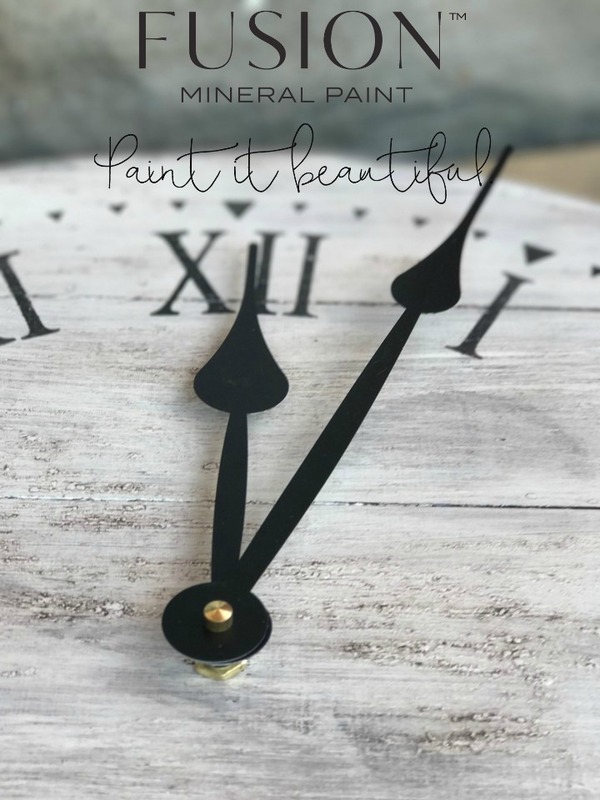 I just used my brush to mix it up- I didn’t need much – just 1 tester of Raw Silk to cover this entire 18 inch clock round! It’s so easy to mix, I just poured it into another container, added powder and stirred! Here is a close up- it’s not perfectly mixed, it’s clumpy and lumpy- it’s perfect for creating texture! Brush it onto your surface and let it dry for about 30 minutes. I know it can be intimidating, but it’s quick and easy I promise! Feel free to watch my YouTube video here on How To Stencil. 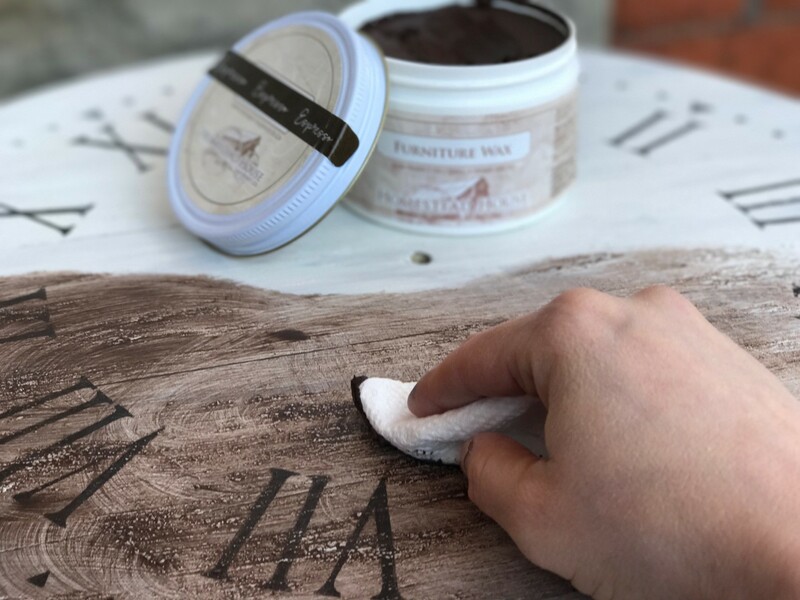 Just place the stencil on the wood making sure the middle is centered, these stencils are super strong and durable and a thicker weight than others on the market which make it much easier to get a crisp stencil with minimal effort. I buy almost all of my stencils from a family run business, Muddaritaville Studio who graciously created this stencil for me! 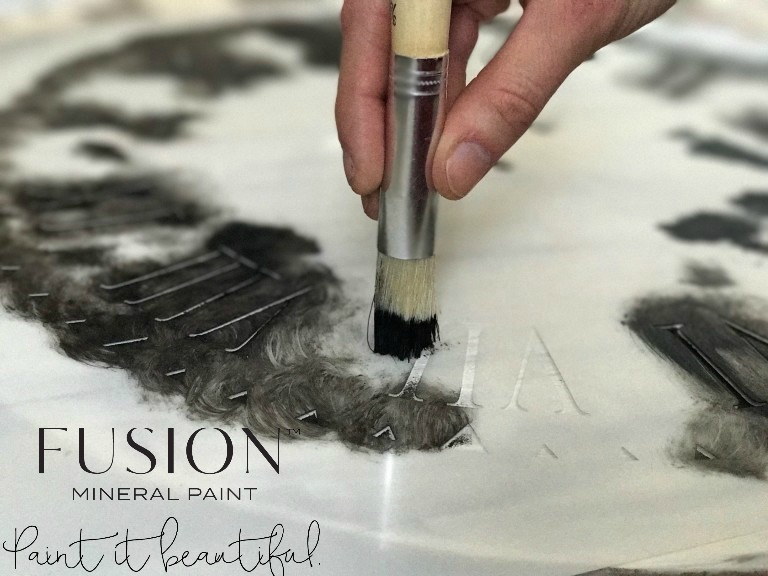 For the stencil, I used Coal Black Fusion™ Mineral Paint, our darkest jet black. I love using a super dark colour contrasting against the beautiful farmhouse white Raw Silk colour. Isn’t the reveal amazing?? That’s one of my favourite moments, when you start to lift off the stencil and reveal how awesome it looks! Time to age it by a light sanding and distressing! You can also soften or knock down the texture of the Fresco by wet sanding. 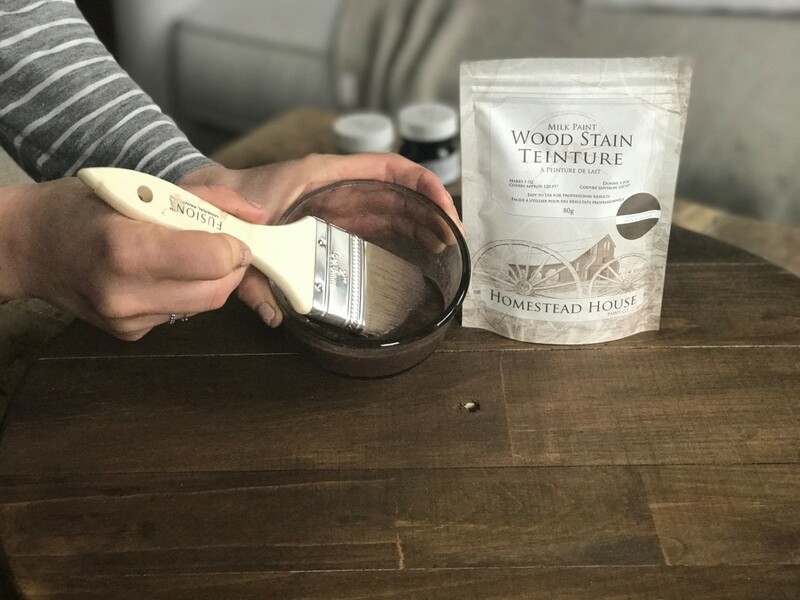 Our Paint Kits come with re-usable sanding pads that you can wet and re-use over and over again. Because I stenciled the Coal Black over top of the Fresco and Raw Silk, then sanded, the texture of the Fresco really shows through. Look Closely and you can really see the distressing, the black being removed by the sanding showing the lighter colour under with the texture. 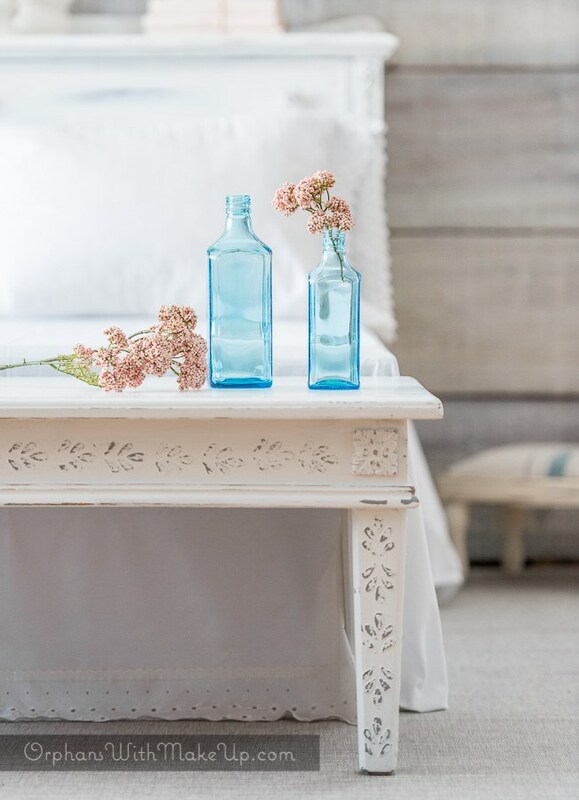 You can leave this where it is – but I’m thinking of just adding a touch of rustic age by adding some Espresso Wax. Espresso Wax, sometimes known as dark wax, has a soft warm tint to it. The beautiful thing about working with our Espresso Wax, is you don’t need to worry about the colour darkening it too much and overpowering your project! I know it looks scary, but when you start to buff it off, it actually tones right down nicely. The bottom you can see with Espresso Wax freshly applied but not buffed off yet. And just look at it all wiped back! Not too dark at all! By buffing it back, it’s sat so nicely in all the recesses and grooves that the Fresco created. 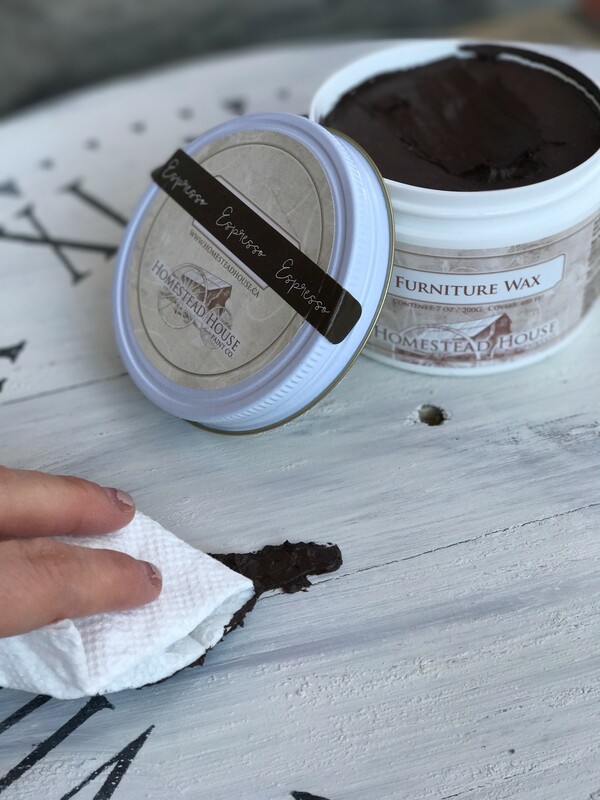 Here’s a secret tip- if you ever add too much Espresso Wax and you feel it’s darkened your finish too much, you can use our clear furniture wax to remove it. Simply buff on the clear wax and it removes the Espresso Wax. Add the clock hands, and you’re finished! 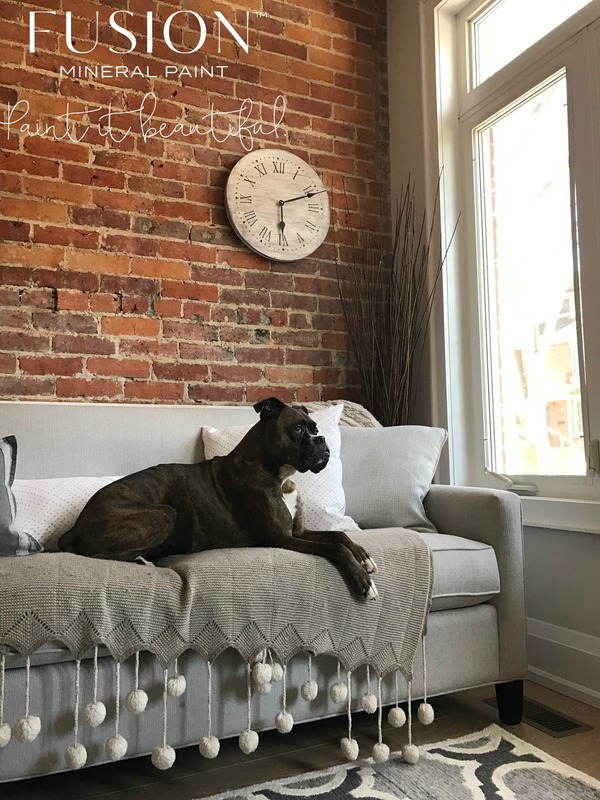 Find your favourite place to hang the clock, sit back and enjoy watching the time fly! 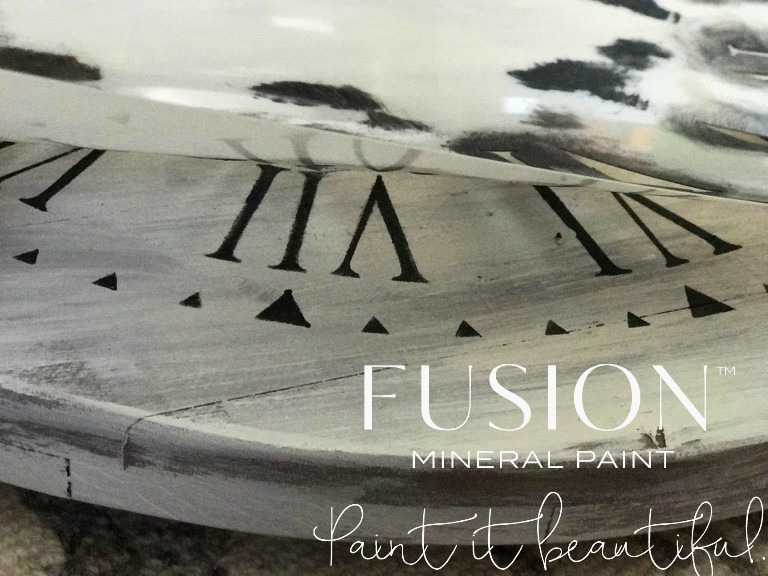 I hope that this has inspired you to tackle your next DIY project, grab some Fusion™ Mineral Paint, a Brush and get started!